What Benefits Will an MBA Bring? How Can I Get an MBA? MBA programs can lead to success for many career-minded individuals. However, there is always the lingering question of “What can I do with an MBA?” Having to invest a large part of two years, both time-wise and financially, may seem risky, but there are many benefits to pursuing your MBA. A multitude of careers require an MBA, while others offer you opportunities for growth and advancement if you have one. For many, the initial investment leads to a huge payout later. How successful do you want to be? How determined are you to reach your career goals? You decide what you can do with an MBA degree. Whether your desire is to assist others in a non-profit organization or reach career heights unattainable without higher education, you will open up a wide range of opportunities with your MBA. Only you can set a limit to what it can do for you. 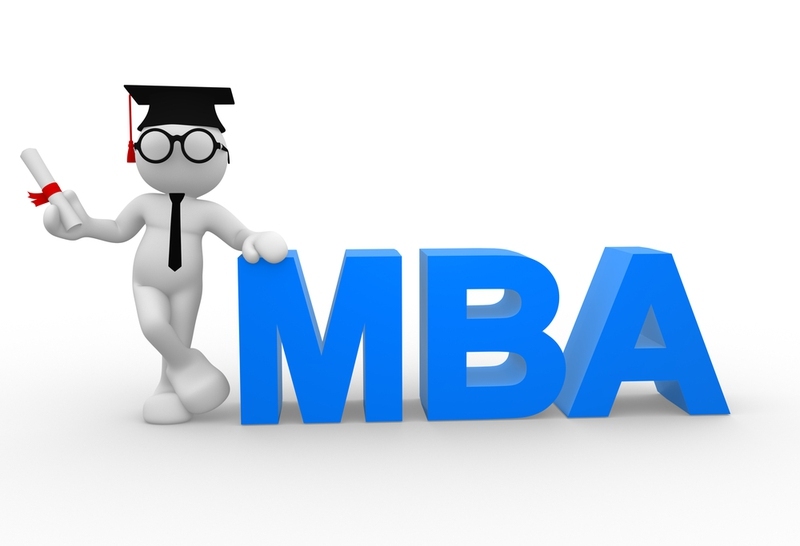 Typically, an online MBA is used for a career in the business sector. Graduates have the opportunity to work for established businesses and corporations. You will learn to make important business decisions while gaining knowledge in leadership, marketing, money management and employee relations. Whether you are just starting out or are looking for opportunities to advance in world of business, an MBA will allow you to move into upper management or reach the goal of an executive position. It can open doors that would otherwise be closed to those without an advanced degree. Graduate students with an MBA have a greater chance of effectively launching their own business. Perhaps you have always desired to open your own property management firm. Many MBA programs offer specialized courses to promote entrepreneurship. Take your business idea to the next level by getting the training and expertise you will need to make it a success. By taking advantage of courses in a variety of valuable skills like accounting, information technology and human resources, graduates of an MBA program head out into the world ready to tackle any challenge that comes their way. An MBA can be used in many other fields as well. The education you receive in management skills, leadership and administrative capabilities will give you more career choices than individuals with only an undergraduate degree. You can still fulfill your desire to work in other fields like education, healthcare and engineering as well as more creative paths in art and music. There is no limit to where an MBA can take you. The average salary for an MBA graduate is two times higher than someone with an undergraduate degree. Even if someone has a master’s degree in another field, chances are that you will make more money as your opportunities will be greater. The two years you invest financially to your degree will pay for itself time over again. In most cases, you will go on to careers that will pay you anywhere from $70,000 to $120,000 annually. While taking your MBA courses, you will be interacting with students and professors with relevant business management experience. Fellow students will become fellow high level managers. Teaching staff at this level are former or current business people with extensive knowledge in the field. Internships will give you opportunities to meet potential employers or gain experience to advance in your current place of employment. Your MBA will also give you a direct link to influential people in the business field - your fellow classmates. These alumni connections will give you access to information and resources throughout your career. This well-established business network will increase your odds of succeeding and having access to the best opportunities in your field. You may ask yourself, “Isn’t any type of degree program supposed to teach me new skills and give me more knowledge?” The answer, of course, is yes, but what an MBA gives you is so much more. A Master of Business Administration degree takes you out of the rut of everyday repetitiveness and your comfort zone, pushing you into new heights within your career. You learn about the latest management techniques and how to challenge yourself and your team with proven practices and approaches. While in the program, you will gain real-life experience that will take you well into the future of your career. Now that you have new skills, greater knowledge and established business contacts, you will become a part of a network of professionals that will provide you with a deeper understanding of the business world. Armed with the latest technology, problem-solving techniques and real life experience, you will reach new heights while overcoming challenges in the ever-changing business world. Whether you are just starting out in a company or are in a senior position and need to update your skills, being an MBA graduate will turn you into a great company asset. You do not have to get an undergraduate degree in business to be accepted to an MBA program. Most will accept you if you have a diverse background and work experience. However if you decide to pursue a traditional business degree, you should get your bachelor’s degree in general business or follow the more specific routes of accounting or business management. To have the necessary work experience for your application to business schools, you should expect to work two or more years before applying. A prerequisite for admission for most schools is a minimum of two years of employment. All MBA programs will use your score on the GMAT as a factor for admission. They will use this information when evaluating your application. Ask yourself, “Why do I want an MBA?” Your reasons will go a long way in determining which schools and programs you should apply for. Some universities only offer MBA programs in general business management, while others will have specialized programs for you to choose from. Research different MBA programs each school has to offer. You will want to apply to the ones that offer courses in the area of business for which you plan to take your career. When applying for MBA programs, you will most likely be required to submit an application for admission, pay the application fee, provide your GMAT scores, supply letters of recommendation, and submit a personal essay stating why you want to attend a specific school and program. It usually takes two years to complete an MBA program. The first year will be comprised of core business courses. The second year becomes more specific and will concentrate on the areas of your targeted specialization. Typical areas of specialization include, but are not limited to, marketing, accounting and finance. Be prepared to complete a capstone project, if required.